However, as new technologies move from academic institutions, research labs, test beds, and proof-of-concepts into more mainstream adoption, communicators will need to be mindful of the potential impacts to business operations, as well as the opportunities and challenges this presents to the PR function. A while back I wrote a response to a question from the PRCA about what the PR industry might look like in 2020, and touched on some of this – highlighting the kinds of changes that chatbots and automation could bring about. I’m still relatively happy with some of the ideas in that piece, but with the rapid pace of change of technology, and new ‘next things’ appearing on the “Hype Cycle” (both Gartner’s, and Stephen Davies’s excellent critique), in some ways I think I could have gone further and been bolder than I was at the time. 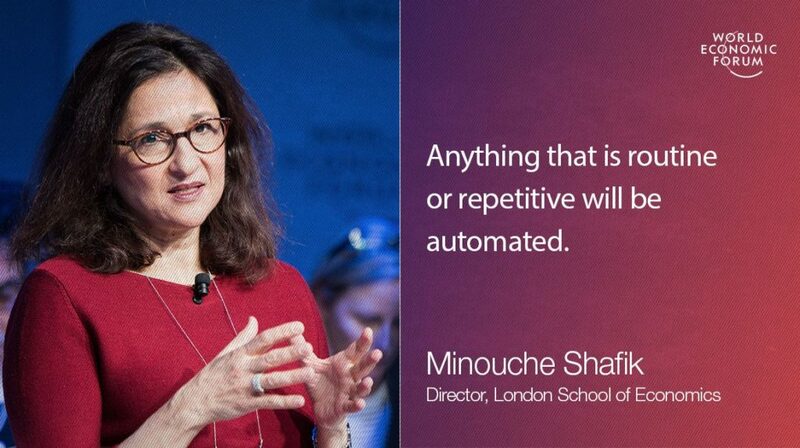 As we continue to automate thought labour and decentralise and delegate decision-making to machines, relying more and more on algorithms and automation, the nature of our businesses and society stand to change markedly – this is something that will effect virtually every facet of our lives, from refuse collection to advanced medical research. So What Does This Mean For PR? In many ways this is yet to be discovered. There are some opportunities that immediately spring to mind for communicators, but as all of these technologies come together in integrated systems there are sure to be new and exciting ways to use them to build and strengthen relationships between organisations and their key stakeholders. Of those that jump out, artificial intelligence, voice interface, and augmented reality are those that stand to significantly impact the way we practice public relations. However there are many, many more – as they start to scale to truly useful deployments, distributed ledger technologies such as blockchain are currently occupying my thoughts. Though as Stephen rightly notes, in some areas there is a lot of hype without a great being done in practice. There has been significant coverage recently explaining the advances in AI-enhanced video editing and the ‘deepfake’ phenomenon. This has centred on the ability of malicious actors to falsify video content to various ends. This has profound implications. We’ve seen significant moves in the market based on small pieces of information – a tweet from US President, Donald Trump, a name change/’pivot to blockchain’, or false reports. 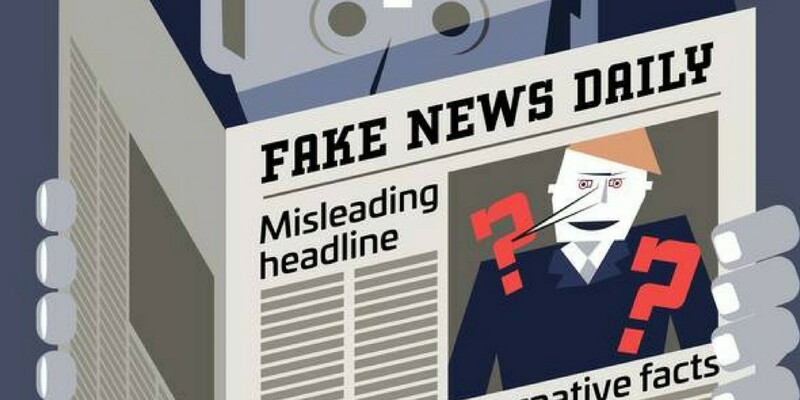 As it becomes easier to create deliberate falsehoods, it becomes more important to be able to verify information, its accuracy, and the intentions of its sources. Stuart Bruce has written about this in the context of images being shared online – the same principles apply here. Imagine a video surfacing showing a board-level executive at a FTSE100 firm criticising their own organisation in a similar way to Gerald Ratner in 1991. Think how that would likely be shared online and quickly become a news story, and of the impact that would likely have on the share price. A video like that is becoming easier and easier to falsify, or deepfake, and there are malicious actors who are no doubt exploring how to deploy them. It is going to become increasingly important to PRs to be able to verify the accuracy of information, and where falsehoods are found to robustly rebut them to preserve the reputation of their organisation or client. A lot has been said about so-called ‘fake news’, but the problem is not going to go away anytime soon. If anything, it is going to get worse. In recent months, we’ve seen the publication of the first news items written by the Press Association’s RADAR bot experiment. It’s not a huge stretch to imagine a more sophisticated system in the near future being trained to ingest information from an organisation, understand what is going on based on a few simple human inputs, and create press materials to post to an online newsroom. The state of so-called ‘robo-reporting’ is explored in greater depth by the BBC’s Chris Baraniuk, in a fascinating look at some of the reasons why, while useful, it might not make it to the front lines of news reporting. Personally, I think it’s fascinating to see conversations from experts at organisations like the BBC thinking about AI development and roll-out of more and more machine learning algorithms for storing, retrieving, tagging and possibly even creating content, as well as considering the ethics and bias behind some of their AI efforts. When you start to think about some of the other things that various machine learning applications can do, and the possibilities opened up by stitching some of these together into integrated functions with APIs, things start to get very interesting indeed. While autonomous PR teams or organisations (such as the oft laughed at DAO) are an unlikely prospect, some processes and workflows in communications are ripe for automation if we can design and build systems with the right scale and operating costs. This video from Andreessen Horowitz partner, Frank Chen is a great primer on the kinds of things we can already do with AI, and what still remains elusive. When you start to think about this level of automation and using machine intelligence to carry the burden of thought labour, the way we think about the role of human PR practitioners changes somewhat. I wrote in my PRCA piece, I think this is about augmenting human intelligence, rather than eliminating jobs, and I stand by that today. As Siemens’ UK CEO and leader of the UK Government’s Made Smarter Review, Juergen Maier highlighted in a discussion at the Conservative Party Conference in 2017, this isn’t about technological displacement – getting rid of jobs, it’s about changing the nature of those jobs, creating higher quality and more fulfilling opportunities for employees than are available today. 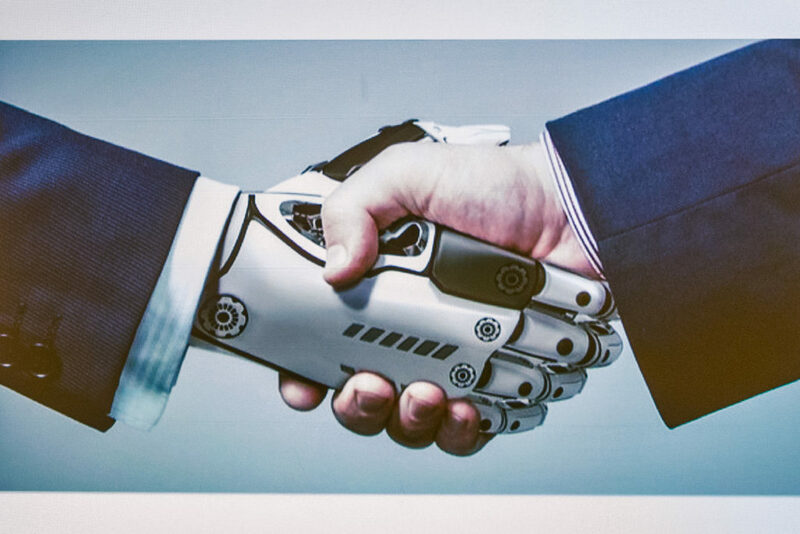 The rise of artificial intelligence may in fact be a very positive thing for public relations. In removing some of the thought labour typically offloaded to the junior ranks or outsourced to various third party service providers at additional cost, and building a machine learning application or applications to do that job, we can spend more time on the advice, counsel, and relationship building adding true value as a strategic management discipline, rather than some of the commoditised basic services that are easy to package up and sell. However, if the work that has traditionally been done by junior PR practitioners is going to be done by new systems and software, then how will they develop the skills and knowledge to become those trusted, strategic advisors that can command both the budgets and the respect the industry feels it deserves? It’s a difficult question to answer. This would certainly alter the route in to a PR career. If salaries changed to reflect the nature of the work being done, and the value it adds, then it could result in a greater intake of graduates and trainees from backgrounds in law, finance, and politics – who could provide valuable perspectives in that much more advisory-led model. It is also true to say that the nature of how we train people to reach the top ranks of communications could change markedly. Advanced AI would allow us to build sophisticated simulators which could enable PR trainees to test and learn their craft in a safe environment supported by theory-based study. We could see something almost like a pupillage where junior practitioners shadow more senior colleagues before gradually taking on more responsibility. We could see combinations of all these in a blended, vocational apprenticeship. As we begin to embrace emerging technologies like artificial intelligence at scale, we do need to be mindful of its impact and plan ahead, for the long-term, to ensure we maximise the opportunities while mitigating risk. This was another prevalent topic of debate at the World Economic Forum this year, featuring heavily in UK Prime Minister Theresa May’s special address, as well as reskilling talked about in several sessions led by the world’s largest technology companies. PR people have always had to be aware of and react to the way that people interact with the world around them – be that how they consume media, or how they engage with brands, organisations, and institutions. 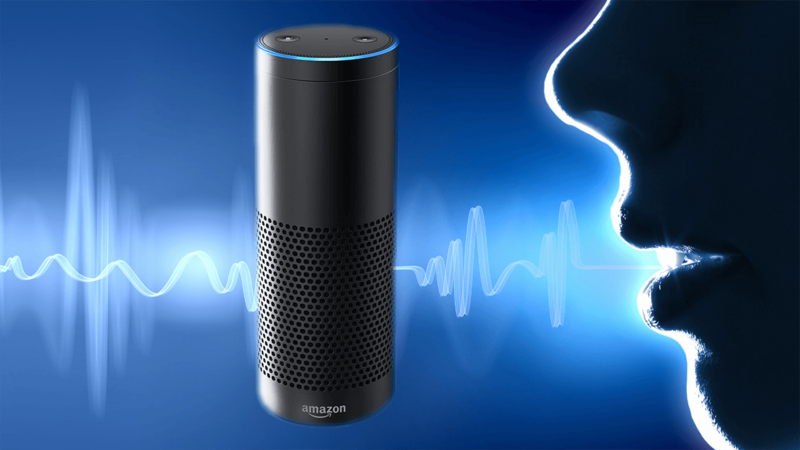 There was a significant shift with the growth of the internet, and again with the advent of social forms of media, now with the advent of AI assistants, smart home devices, and virtual and augmented reality systems communicators should be thinking about how their messages can be delivered most effectively across this mix. With well-trained AI, and the right data sets, we can leverage incredibly powerful systems and tools to break down publics and audiences into very small groups and know what really makes them tick, what they are passionate about, and what results in an emotional response, action taken, or change in behaviour. This allows us to deploy mass personalisation or micro-targeting at scale to maximise the effects of communications efforts and drive our organisation’s or client’s success. As always we’re going to have to choose our content and channels wisely, not only do we have different demographics and different preferences which will need to be considered, we also need to think about the access to and use of data. In a world increasingly concerned with privacy and the appropriate use of personal data, regulations such as the GDPR also give us new challenges to contend with – the opted-ins and the opted-outs. We now have more options open to us than ever, but the selection of where to invest time and resources is going to be important. As things currently stand the public will be quite forgiving of experimentation if it goes wrong – we have the freedom and creativity to try new things and opportunity to fail without too many adverse consequences. If – like we did with blogs and social platforms – we get involved early, play around, and learn what works and what doesn’t we can capitalise on these emerging technologies, delivering great break through work, as well as driving our industry forward into the modern age. As WIRED points out, artificial intelligence – and its most popular guises – is not without its limits or faults. It’s not a panacea, and it won’t be able to do everything as well or better than current practice, but deployed in the right areas, in the right way, and at the right time, AI in PR is going to be very powerful indeed. As I said in an earlier post, this is something I’m going to be exploring further throughout the year – I’d love to hear thoughts from others exploring this space and do feel free to flag further reading online or in print. Headline image taken from O’Reilly Conferences on Flickr under Creative Commons License.